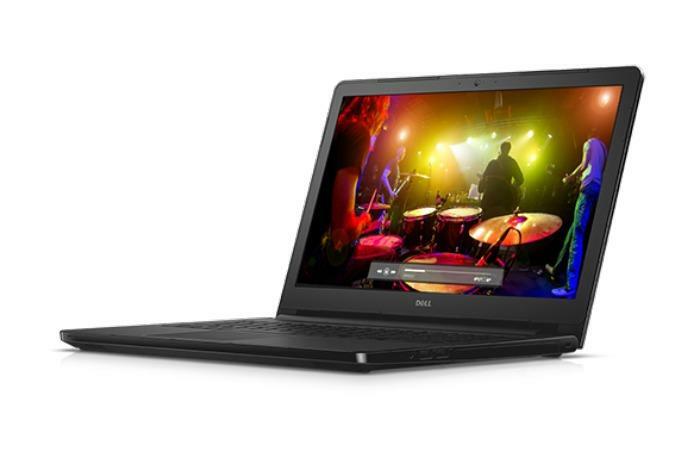 A version of the Dell Inspiron 15 5566 is available from Dell's business store today for $500. Today, you can get a high-performing Core i7 laptop for just $500—a truly rare and enticing deal. Dell’s business store sells the Dell Inspiron 15 5566 with an Intel “Kaby Lake” Core i7-7500U for $800, but if you use the code SAVEEXTRA300 at checkout, it takes $300 off your order and drops down to the $500 sale price. Kaby Lake isn't Intel's latest and greatest CPU architecture, as the company recently released newer 8th-gen Core processors. Nevertheless, the Core i7-7500U delivers stellar performance compared to what you'd normally get for $500. It's a 2.7GHz dual-core processor with Hyper-Threading and the ability to boost up to 3.5GHz as needed. Beyond the processor, you also get a 15.6-inch display with 1366-by-768 resolution, 8GB of RAM, and a 1TB hard drive. Wireless connectivity includes 802.11b/g/n Wi-Fi (2.4GHz only) and Bluetooth 4.0. There’s also a DVD drive, an SD card reader, two USB 2.0 ports, one USB 3.0, ethernet, and HDMI 1.4 out. The DVD drive and the hard drive push the weight of this laptop just past the comfortable weight limit at 5.19 pounds. This is a business-focused laptop so the screen resolution isn’t as high as we’d like, and that hard drive could also be swapped for an SSD for faster performance. But don't be fooled: A laptop with a Core i7 chip for $500 is a stellar deal, period. You can always add an SSD at a later date if you don’t mind a little DIY.